Just inside the great blue wall of the southwestern Blue Ridge Mountains of North Georgia is a land of renowned beauty, adventure, myth and legend. Fannin County, is one of the premier counties in the North Georgia Mountains offering an escape from the outer world to a land where natural wonders and majestic landscapes beckon the adventurous at heart with an additional lure of peace, tranquility, fun and excitement for others. Here the Georgia high-country mountaintops and long high ridges caress the morning sky as layers of fine mist forms along rivers and creeks. Often at the break of day the crystal blue waters of Lake Blue Ridge appear as though it were a still mirror reflecting the colors of deep blue skies and puffy white clouds above. As the sun rises across the heavens, each day unfolds with excitement throughout the county offering both recreation and adventure within the wonders of pristine forest and the sparking waterways formed by the mountain's delicate watershed. If you are looking to get away from the city to experience the good life, Blue Ridge Georgia offers it in abundance. You'll find a wide variety of lodging choices from luxury cabins and hotels to bed & breakfast inns and camping, something for every taste and budget. Many visitors find themselves enjoying casual strolls along the main streets of the picturesque historical mountain downtowns of Blue Ridge and McCaysville, hunting for hidden treasures amongst the unique shops while taking casual breaks within the confines of a quaint restaurant or outdoor café, enjoying fine food and drink as they bask away in comfort and style. In the harvest season visitors flock to the apple orchards throughout the county's rolling fields bordered by long tall mountain ranges searching for that perfect sweet crisp mountain grown apple or one or more of those delectable hot apple pie turnover fresh from the kitchen. Other visitors might choose to take a journey along the railway of the Blue Ridge Scenic Railroad traveling a short distance from Blue Ridge to McCaysville before returning to its historical depot. Evenings here in the high country wind down quietly as the forest begins to come alive with the sounds of winged soloists, their love-songs seem to ride gently across the fresh mountain air as awe inspiring sunsets along the western sky dazzles one's senses with the wonderment of it all. Fannin County's backcountry rolls out its green forest and pristine waterways inviting visitors, guest and residents to lace up their hiking shoes, grab their tackle, launch the outboard, air up the tubes, raft white water rapids or take hold of the reins and join in on a vast array of outdoor recreation that will fill your days from morning till night. It's not only the majestic mountain beauty that draws the visitors and new residents to these southern Blue Ridge Mountains, it's also the weather that makes this region so appealing with four distinct seasons. As the new spring season comes alive each year with an abundance of flowering trees and native wildflowers, the mountains offer an escape from the confines of a long winter to the adventurer at heart. During the summer season warm days filled with leisure, fun and excitement slip comfortably into cool nights, while the autumn sets the glory of the year on a pedestal with the vibrant colors of the forest starting their yearly migration from the top of the mountains before traveling down as the season progresses. Winters in the southern Blue Ridge Mountains are usually quiet and mild. Light snowfalls occasionally blanket the ground with snow-covered mountaintops maintaining their crowns of white as the snow covered valley lands below melt under the afternoon sun. With its commitment to community strength and thanks to the city of Blue Ridge and its neighboring town of McCaysville, Fannin County has become the third community in the state of Georgia to be designated by the Georgia Department of Economic Development as "Entrepreneur Friendly" offering opportunity to those looking to relocate. 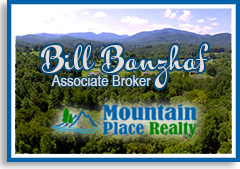 A great time and even greater memories await those that have the fortune of choosing Fannin County in the North Georgia Mountains as their destination escape or year-round home, a world where the pace of life is sweet and the rewards are plentiful. All aboard for a trip that will spark kids' imaginations, adults' memories, and leave everyone smiling! It all starts at the historic 100+ year-old depot in downtown Blue Ridge, Georgia and heads north from there. As the train winds through the mountains alongside the beautiful Toccoa River, car hosts will share the history of the railroad and sights along the way. The ticket office is in the depot tucked in the charming mountain village of Blue Ridge, Georgia, within the lush Chattahoochee National Forest, only 95 miles north of Atlanta. Cuddle Up Cabin Rentals offers many vacation rental cabins which allow you to experience a little piece of heaven every time you visit. Our private luxury cabins provide a getaway retreat for couples, families and friends who love nature and the outdoors. Cuddle Up Cabin Rentals manages these privately owned luxury cabin rentals, all of which are located within minutes of Blue Ridge, Georgia and the beautiful Ocoee River and Toccoa River. When you are visiting the Blue Ridge - Smoky Mountains, a stop by the Highlander Gallery is well worth your time. The Highlander Gallery represents some of the finest artists in the mountains. With a large assortment of Fine Art Photography and Fine Crafts as well. Neither painter nor sculptor can surpass nature's artistry. At Pezrok, you'll discover more than just an upscale "rock shop." We celebrate Earth's terrestrial treasures in a setting as unique as nature itself. Stop in today for museum-quality minerals … stunning fossils … spectacular driftwood … singular jewelry … and a shopping experience second to none! The Blue Ridge Mountains Arts Association is passionate about art. Our Art Center Team is devoted to bringing new exhibits, new events, and new programs to our community through art and culture. We endeavor to provide a haven for artists to flourish and grow. We measure success by the success of our artists and the many galleries that help to make up our Art Town in the mountains of Blue Ridge, Georgia. We boast the largest Gallery Experience in the North Georgia Mountains, come visit us and experience a true Art Town in the Mountains. The Art Station was created to provide economical pricing for supplies for artists and for our art classes for children and adults. We surveyed our artists to determine the supplies most needed and we are adding to that inventory every day with requests from our artist members. We encourage you to visit, check out our supplies. "Art, We are it!" Mercier Orchards is a family owned and operated apple orchard. Started back in 1943, Mercier Orchards offers it's visitors a fun filled experience! From seasonal U-PICKS and tractor rides to our world famous bakery, Market Cafe and winery! Sit tall in the saddle for a leisure ride through the beautiful scenery of the Blue Ridge Mountains. Professional outfitter with over 35 years experience. Our safety record is unsurpassed in the industry. We believe our staff is simply the best in the business. Guides are chosen for their character and enthusiasm for sharing the outdoors with you.